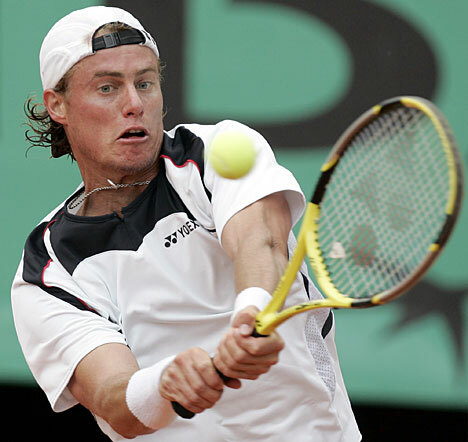 Australian Lleyton Hewitt has two major goals left in his career. First and foremost is Hewitt’s desire to win his county’s grand slam tournament––the Australian Open. 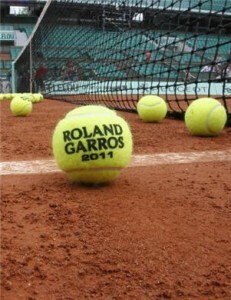 Second is his wish to win the title at Stade Roland Garros, the elusive French Open championship. While Hewitt made the finals of the Australian Open in 2005, losing to the enigmatic Russian Marat Safin, the Aussie has never gotten any further than the quarterfinals at the French, losing to Juan Carlos Ferrero in 2001 and to Gaston Gaudio in 2004. Hewitt first ascended to the World No. 1 ranking in November of 2001. Suffering with numerous injuries during the past two years, Hewitt’s ranking has fallen to its current level of World No. 66. It is hard to imagine that Hewitt will be able to return to his previous top 20 ranking, although his coach Tony Roche has told the press that Hewitt will play in Paris despite being out of action for the past two months. The one thing you can count on from Hewitt––he never quits trying to win regardless of the injury or the opponent across the net. American Lindsay Davenport achieved the ranking of World No. 1 beginning in October of 1998. With her rock solid groundstrokes and her amazing serve, Davenport quickly shot to the top of the women’s game. Davenport won her first major at the U. S. Open in 1998 defeating Martina Hingis in the final. Davenport next won Wimbledon in 1999 defeating Steffi Graf in the finals to win her second career slam title. Then in 2000 Davenport won the Australian Open by once again defeating Martina Hingis in a major final. The American won the title without losing a set. But Davenport could never win the French Open. The furthest she progressed was to the semifinals in 1998 where she lost to Arantxa Sanchez Vicario 6-2, 7-6. Sanchez-Vicario went on the win the title defeating Monica Seles. Playing in the French Open 11 times, Davenport never came closer than the semifinals. It was always something the American sought to accomplish. Like many great players, the clay was never suited to Davenport’s game or to her liking. 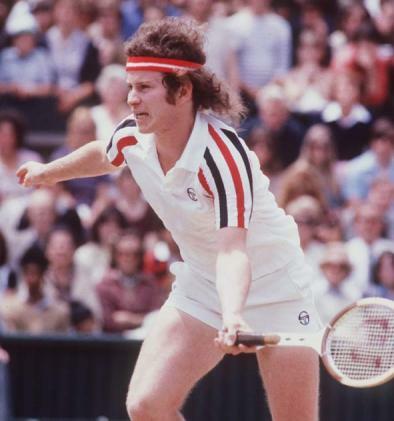 American John McEnroe won three Wimbledon titles in 1981, 1983 and 1984. His most famous appearances at Wimbledon came against his arch-rival Bjorn Borg. Winning on grass was natural for McEnroe. McEnroe also won the U.S. Open four times in 1979, 1980, 1981 and 1984, over Vitas Gerulaitis in 1979, over Bjorn Borg in 1980 and 1981 and finally over Czech Ivan Lendl in 1984. Not a frequent player in Australia, McEnroe reached one semifinal in 1983, losing to Mats Wilander. But it was the French Open that gave McEnroe his largest heartache. During 1984 when McEnroe compiled one of the greatest seasons in the history of men’s tennis, McEnroe found himself in the French Open final against Czech Ivan Lendl. McEnroe won the first two sets and was on his way to breaking Lendl’s serve in the third when he became distracted by a cameraman’s headset. Evidently the headset was emitting a noise that broke McEnroe’s concentration. While McEnroe became distracted, Lendl took advantage to level the match. Once that happened, Lendl grew more confident and began lobbing over McEnroe who continued to crowd the net. As McEnroe’s game unraveled, Lendl’s grew stronger. Lendl went on to win the match, winning the last three sets. McEnroe never found his way back to another final at the French Open. 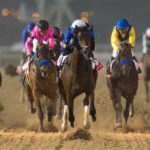 The American was within a few games of winning. Instead McEnroe suffered one of biggest meltdowns in French Open history. 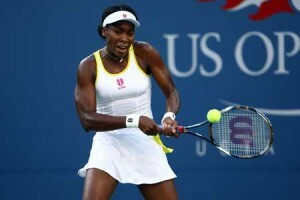 There is no doubt that Venus Williams is one of the greatest women ever to play the game of tennis. She became the first African-American woman in the Open Era to ascend to the No. 1 ranking in February of 2002. During her career, Venus has won five Wimbledon championships and two U.S. Open titles as well as one Olympic gold medal in singles and two in doubles with her sister Serena. Williams has never won on the hard courts of the Australian Open, although she was a finalist in 2003. Nor has the elder Williams sister ever won the French Open. In 2002, Venus Williams and her sister Serena made the French Open finals. Even though the Williams sisters were the No. 1 and No. 2 players in the world back in 2002, no one seemed pleased at their play against one another, especially in this particular French Open final. Since it was the only time either sister made it to a final at Stade Roland Garros, the match itself is important in an historical context. No one disagreed that the sisters were the cream of the Roland Garros crop in 2002; but the media wanted more drama, more intensity and less sisterly concern in the final. The match is memorable because the two sisters made it to the finals this one time. In the years following 2002, neither Venus or Serena found their way back to into the spotlight at Stade Roland Garros. Russian Marian Sharapova, who was first ranked World No. 1 in 2005, won her first grand slam at Wimbledon in 2004, seeded unlucky No. 13 at age 17. In the final, Sharapova upset defending champion Serena Williams to win the title on the grandest tennis stage in the world. She became the youngest woman ever to win the title. In 2006, Sharapova added another jewel to her crown by winning the U.S. Open championship. 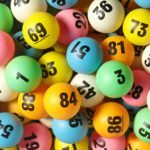 Seeded No. 3, the Russian overcame the top seed Amelie Mauresmo in the semifinals and the No. 2 seed Justine Henin in the finals to capture the title in New York. Sharapova continued her quest for a career slam by winning the Australian Open in 2008. Seeded fifth, the Russian’s path to the final included some real obstacles like Lindsay Davenport in the second round and World No. 1 Justine Henin in the quarterfinals. In the finals, Sharapova defeated Serb Ana Ivanovic for her third career grand slam title. The furthest Sharapova has advanced at the French Open was to the semifinals in 2007. After missing most of the clay court season, the Russian entered Paris with very little preparation. Her advancement to the semifinals was unexpected. There she lost to Ana Ivanovic. Clay has always been Sharapova’s worst surface. But the title at Stade Roland Garros would give the Russian the last missing jewel in her career grand slam crown. With her current playing prowess on the red dirt, winning the 2011 French championship seems a real possibility for Sharapova. German Boris Becker achieved his No. 1 ranking in January of 1991 capitalizing on the weight of his big booming serve and forehand. Throughout his career, Becker reigned on all grand slam courts except in Paris. Becker made his first grand slam final on Centre Court at Wimbledon in 1985. The German went on to win the championship at the All-England Club again in 1986 and once more in 1989. Becker also won the U.S. Open in 1989 and followed that by winning the Australian Open in 1991 and 1996. The furthest Becker advanced on the grounds at Stade Roland Garros was the semifinals in 1987, 1989 and 1991. 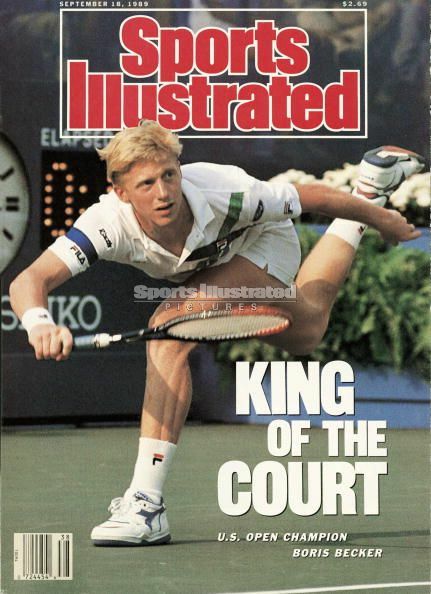 In 1987, Becker was stopped in his tracks when he met Mats Wilander in the semifinals losing 6-4, 6-1, 6-2 in an unimpressive showing for the German. In 1989, Becker met another Swede in the semifinals––this time it was Stefan Edberg staring at him across the net. Becker did his utmost but fell in five sets 6-3, 6-4, 5-7, 3-6, 6-2. This match was the closest Becker came to making his first French Open final. In 1991, Becker faced American Andre Agassi in the semifinals of the French Open. Agassi defeated the German 7-5. 6-3, 3-6, 6-1. Becker’s game as a serve and volley player did not translate well onto clay. Becker lacked the patience to stand on the baseline and construct points carefully. Like many of his era, the clay remained forever foreign to Becker. Martina Hingis was ranked World No. 1 for 209 weeks and won major trophies at every venue except on the grounds of Stade Roland Garros in Paris. In 1997, Hingis won the Australian Open, Wimbledon and the U.S. Open championships. She won all of the majors except the French Open. She did, however, make the finals in Paris in 1997, losing to Croat Iva Mojoli 4-6, 2-6. Even though Hingis would repeat at the Australian Open, winning titles in 1998 and 1999, she could not find similar success at the French Open in 1999, facing German Steffi Graf. Hingis played great tennis, taking the first set, 6-4 and leading by a 2-0 margin in the second set. That is when the bottom fell out of Hingis’ well-ordered, self-assured world. Hingis disputed a line call. Her ball was called out. She felt the ball had hit the line. Hingis asked the umpire to check the line, which she did. The call stood. Hingis then walked over to Graf’s side of the net and pointed to the mark she felt proved her point. This was arrogance in full bloom. 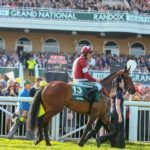 It was also grounds for a penalty point. Hingis refused to play on, instead taking her chair and asking for the tournament referee. The referee came on court and denied Hingis an overrule. Further, the referee imposed the penalty, and Hingis lost the argument and, at that point, the match. Because at that moment Hingis lost the support of the French crowd who began to boo her and continued to make her life miserable for the rest of the match. Hingis lost and never again returned to a French Open final. Swede Stefan Edberg reached the World No. 1 ranking in August of 1990. In contrast to fellow Swedes Bjorn Borg and Mats Wilander, Edberg was a serve-and-volley player of the highest order. Edberg won his first slam title at the Australian Open in 1985 defeating countryman Mats Wilander in straight sets. At that time, it should be noted, the Aussie Open was played on grass. Edberg came back again to win the Australian Open in 1987, defeating Pat Cash in five sets. That was the very last time the Australian Open was contested on grass. In 1988 and 1990, Edberg won at Wimbledon defeating Boris Becker on both occasions. 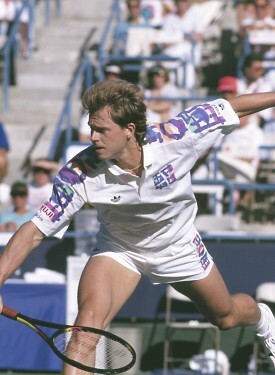 Following those victories, Edberg won the U.S. Open in back to back years in 1991 and 1992 by defeating first Jim Courier followed by Pete Sampras the following year. Edberg made it to the finals of the French Open in 1989 where he met a 17-year-old American Michael Chang who had just knocked off Ivan Lendl in a stunning upset during the 1989 quarterfinals. Even though Edberg stretched the young Chang to five sets, Edberg could not close the match out and Chang won his only career major. Edberg would never again make a French Open final. He had one chance to win and could not master the clay. 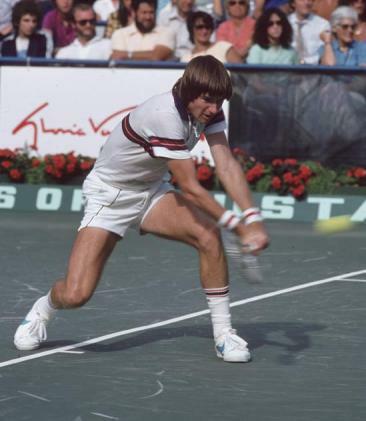 Politics had much to do with why American Jimmy Connors never won the French Open. It was possible for Connors to win on clay because he won the U.S. Open in 1976 when the tournament was briefly played on clay. It should be pointed out that in 1974, Connors won all the majors except the French Open. That particular year when Connors was at the height of his power, he was not allowed to play at the French Open because he had signed to play World Team Tennis. The organizers in charge of the French Open felt that the WTT was a threat to their tournament. After the American returned to the grounds of Stade Roland Garros, Connors made the semifinals four times in 1979-1980 and in 1984-1985. Losing to Victor Pecci Sr in 1979 and Vitas Gerulaitis in 1980 and John McEnroe in 1984 and Ivan Lendl in 1985. In his career Connors won the Australian Open in 1974, Wimbledon in 1974 and 1982 and the U.S. Open in 1974, 1976, 1978, 1982, and 1983. But the French Open was never to be a trophy on the Connors mantle. Perhaps the greatest man ever to wield a tennis racket, there was not much that Pete Sampras could not accomplish on tennis courts around the world. During his playing years, American Sampras won 14 career grand slam titles––seven Wimbledon titles, five U.S. Open titles and two Australian Open championships. 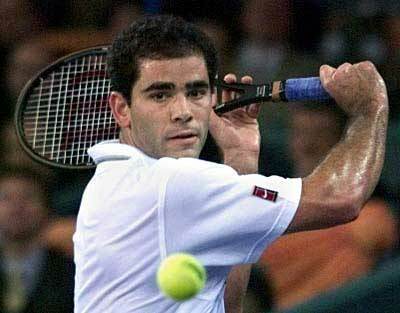 There were periods of time in his career when many felt Sampras was unbeatable. Noticeably missing, however, from the impressive Sampras’ resume are any French Open titles. In fact, Sampras could not even make it into a final on the grounds of Stade Roland Garros. He did advance to one semifinal in 1996. There he lost to the eventual champion Yevgeny Kafelnikov 6-7, 0-6, 2-6. More than most, the slow clay offered nothing for Sampras. His fast moving, attacking style just would not translate onto the red dirt. Although the American tried for 13 seasons to win that elusive title, each and every time Sampras ended up well short.